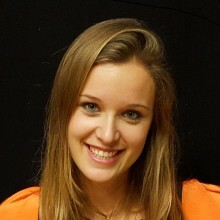 Else Krajenbrink is the Coordinator for the Global Health and Development Group at Imperial College London, responsible for providing logistical and administrative support to the various projects within the team. She holds a degree in Physiotherapy (BHealth) from Amsterdam, the Netherlands and a postgraduate degree in Public Health (MPH) from King’s College London. She has previous experience working as a physiotherapist in the Netherlands and in the NHS. She joined the team in October 2015.